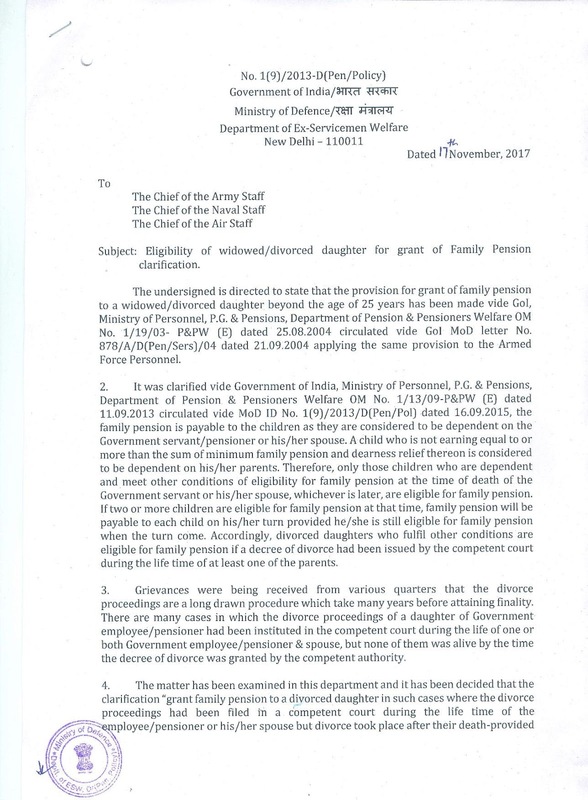 National Association of Postal Employees Group-C: Eligibility of widowed/divorced daughter for grant of Family Pension clarification. Dated 17.11.2017 : Department of Ex-Servicemen Welfare. 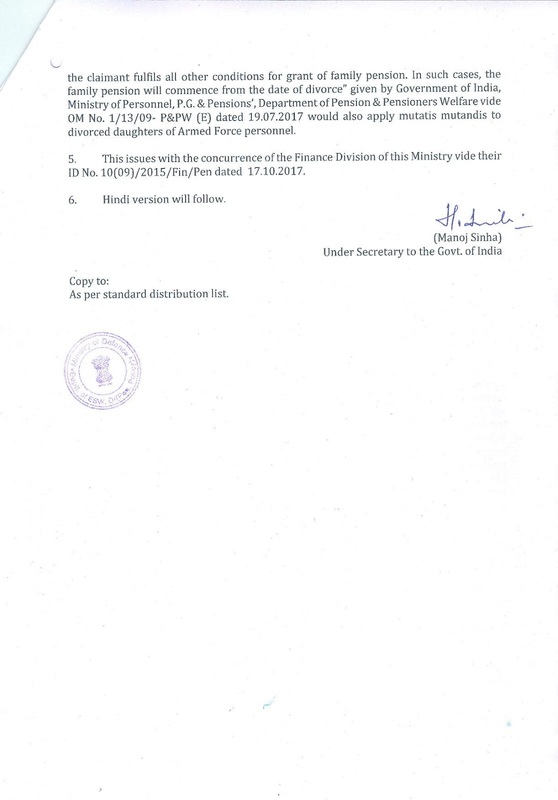 Eligibility of widowed/divorced daughter for grant of Family Pension clarification. Dated 17.11.2017 : Department of Ex-Servicemen Welfare.